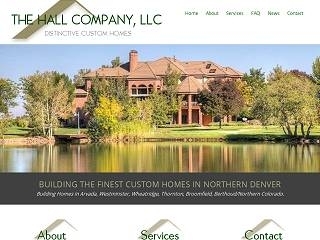 Inspired Design Website Development Company began in 2002 by Paul Weston Eden and is based in the Denver, Colorado area. The original vision was to serve the small business community by creating attractive, functional and affordable websites. Inspired Design introduced Search Engine Optimization services in 2004. Inspired Design is a small business helping small business. Weston knows the challenges of competing with large companies and their large website marketing budgets. For 16 years Inspired Design has been creating beautiful websites that compete in design quality with website development companies that charge much more. This has always been a core principle at Inspired Design. Value is paramount. The largest portion of Inspired Design’s work is through referrals—a testament to valued relationships and quality work. Many satisfied clients have been with Inspired Design for many years. Please see our business website portfolio. Years of website development, SEO marketing and relationship building have proven Inspired Design’s ability to work confidently and effectively with clients. Managing the website project from concept to launch, while communicating clearly all along the way, is a hallmark of Inspired Design. By listening to client objectives and ideas, then adding our skills and creativity, we will put the pieces together into an attractive, functional and effective website. Weston’s approach to web design is driven by the belief that a small business reflects its owner’s values and personality. He personally interviews each business owner and highlights the unique character, talents, and products or services of that person and business. Over the years, this has been a defining characteristic of Inspired Design and has resulted in many happy clients. Inspired Design is a Denver website development and SEO company. We design websites for business and provide effective search engine optimization. After apologizing for my crumby website nearly everyday, I am so excited to have this one finished. Our initial impression: "We are blown away! This is a website that we can be proud of!"